Home > Football > Could Gary Medel Stay? We’re now less than two weeks from the first game of the championship between Blackburn Rovers and Cardiff City and the Bluebirds today have been given a massive boost in keeping one of their star players of the 2013/14 season. 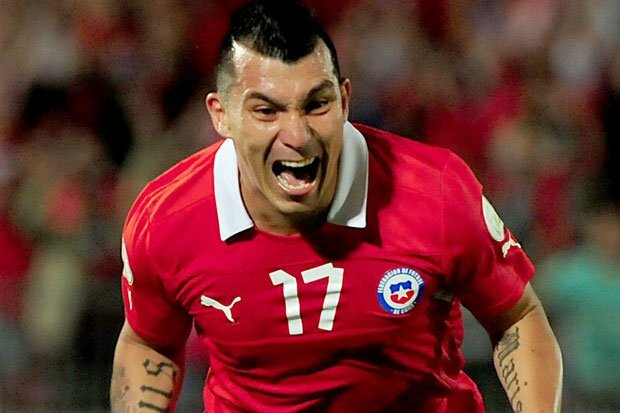 Chilean international Gary Medel was one of the stand out players for both Cardiff in the Premiership and Chile in the World Cup and as a result has sparked a lot of interest from some massive European clubs. Inter Milan were the favourites to land has signature and Medel was reported very excited by the move. A fee of £7 Million was agreed verbally between the Bluebirds and the Italians but Turkish club Galatasary have since come in with £10 million bid. Cardiff have told Inter to match the bid or the deal is off and it seems that Medel had his heart set on Inter as he has refused to talk to the Turkish club. But this morning it was reported Cardiff have tabled a new contract for Medel which would see his wages double if the Welsh side are promoted and see him wear the captain’s armband for the upcoming season. If the Bluebirds fail in their bid for promotion then Medel buyout clause would be reduced to make a move away easier. Medel’s agent has refused to comment on the offer but Medel is understandably seriously considering it as an option. AS Roma’s Miralem Pjanic … Meet the NFL?